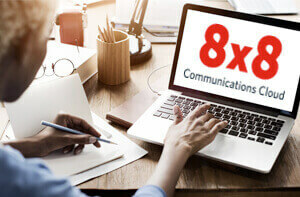 What is VoIP Quality of Service (QoS) | 8x8, Inc.
What is Quality of Service (QoS) and Why Do I Need It? You have probably seen or heard the term QoS being tossed around, but you may not have realized why it is important. Well, it turns out QoS can have a significant impact on the audio (and video) quality of your VoIP phone system. Have you ever driven down a freeway at 2 a.m.? If so, most likely you were one of only a few cars on the road. You could pick any lane, go the speed limit (or maybe even higher), and zip to your destination without any delays. Now jump ahead five hours later to 7 a.m., the peak of the morning commute. You probably have to wait in a line just to get on the freeway, you’re jockeying for space with lots of other cars, and traffic is stop-and-go. Think of your network as a freeway. 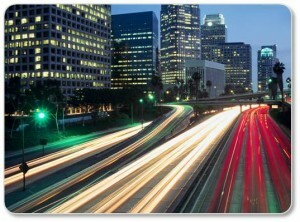 Sometimes demand is low, traffic is light, and data quickly zooms along to its destination. 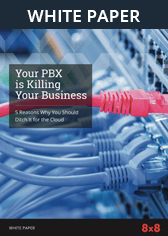 But at other times traffic is congested, slowing everything down—including your VoIP calls. Fortunately, there are things you can do to ease this network traffic jam. One way is to use a QoS-enabled router to help you manage traffic and even give priority to certain data, like voice. Even as the economy-class passengers are boarding, any first- or business-class passenger can cut to the front of the line and board first. 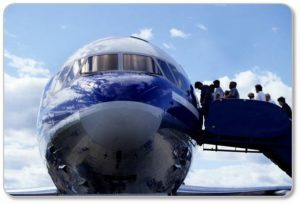 Because there are fewer first- and business-class passengers, they are able to avoid the congestion that occurs when all the economy-class passengers try to board at the same time. This is an example of QoS, where a guaranteed level of service is provided to higher priority traffic. Now imagine if there were no such prioritization in place. All the airline passengers would make a mad rush for the gate so they could avoid waiting in line. Before you know it, a bottleneck develops. Clearly, this is not an ideal scenario for boarding an aircraft—or for delivering network traffic. 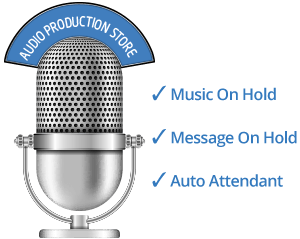 So think of 8x8’s voice and video services as high-priority passengers. The packets of data that make up your phone and video calls must be given priority over surfing the web and managing email because voice and video require a higher level of service. If QoS is not enabled and there is insufficient Internet bandwidth (think “boarding gate”), then traffic congestion occurs and your VoIP call quality goes down. For more information on configuring your QoS router to support 8x8 VoIP and video service, contact the 8x8 support team.